Sometimes, eating is only a means for subsistence. This was the case when we had 2 hungry and tired kiddies while we were leaving Factoria in Bellevue. 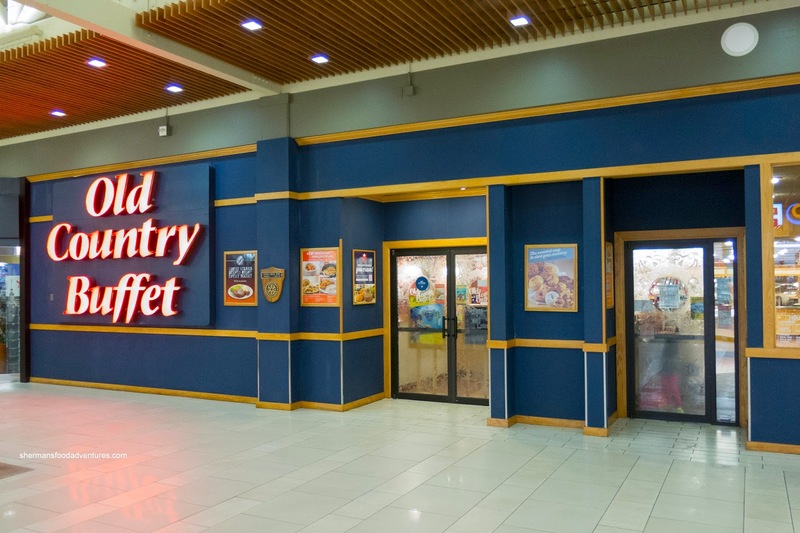 I had visions of eating something tasty and interesting while the kids were eying Old Country Buffet... Fine. I guess my plans were out the window. Hence, we did what we had to do - eat mediocre buffet food. To be fair, I personally don't mind Old Country as it serves a purpose and is easy on the wallet. By now, I'm sure most of you have experienced the fine American cuisine (I hope you know I'm being sarcastic here...) of Old Country. 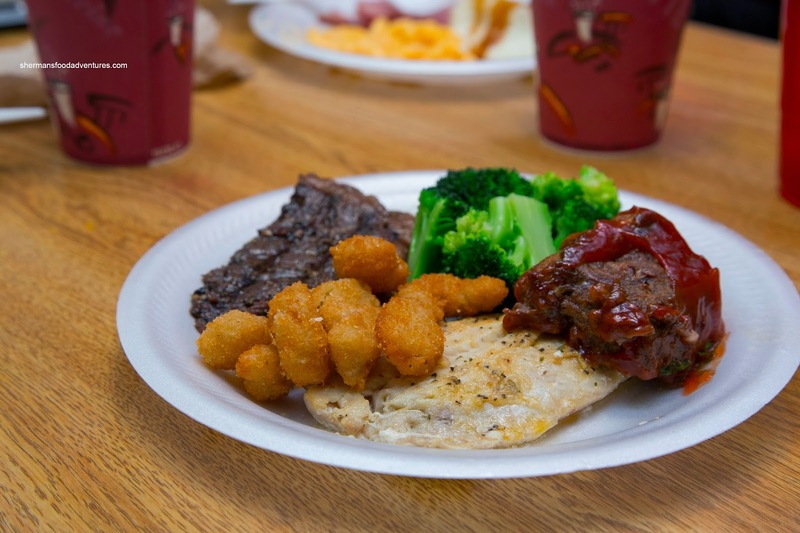 One can find the classics including Mac n' Cheese, Meatloaf, Roast Chicken, Fried Chicken, Steak, Ham, Fish with all the fixin's. I give them this though, the chaffing trays are always full and quickly replaced with fresh food (oxymoron?). 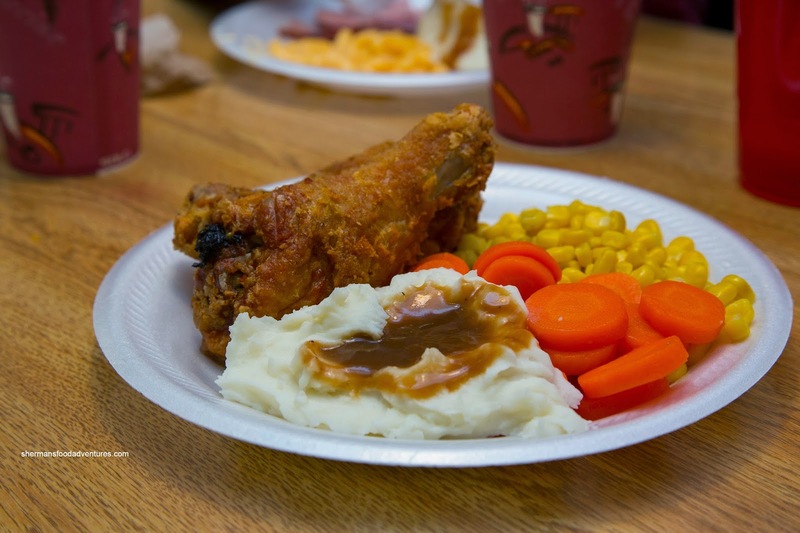 Personally, I didn't mind the Fried Chicken as it was crispy while the meat retained some moisture. It was seasoned just enough and most importantly, my kids willingly ate it. The sides were okay except the green beans which looked deader than Keith Richards (wait, he's not dead...). With a selection of 2 soups including Chicken Noodle and Clam Chowder, I had to go with the chowder to Viv's chagrin. Why you might ask? Well, let's just say creamy and my stomach agree with each other like Obama and "red states". But I went for it anyways and it was not bad. Lots of tender potatoes with a smattering of clams in a roux-thickened broth. For my second plate of food, I went for some Sirloin Steak, Fried Shrimp, Fish and Meatloaf. Other than the decently charred tender steak, the rest of the food was terrible. The fish was stiffer than Ron Jeremy while the shrimp were so well hidden in the soggy batter, a search party would be needed to find them. The meat loaf was dry and mealy with a ketchupy sauce on top. 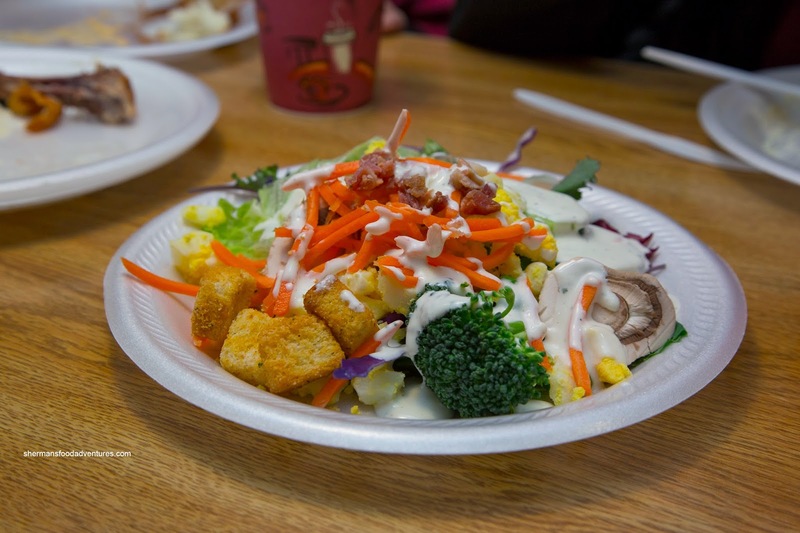 To do things backwards and begrudgingly eat some greens, I had a plate of Salad topped with unhealthy ranch dressing. I'll give it to them that the veggies were fresh and regularly refilled. I added some bacon on top to balance the dish off. As you can really clearly see, there is both good and bad here. 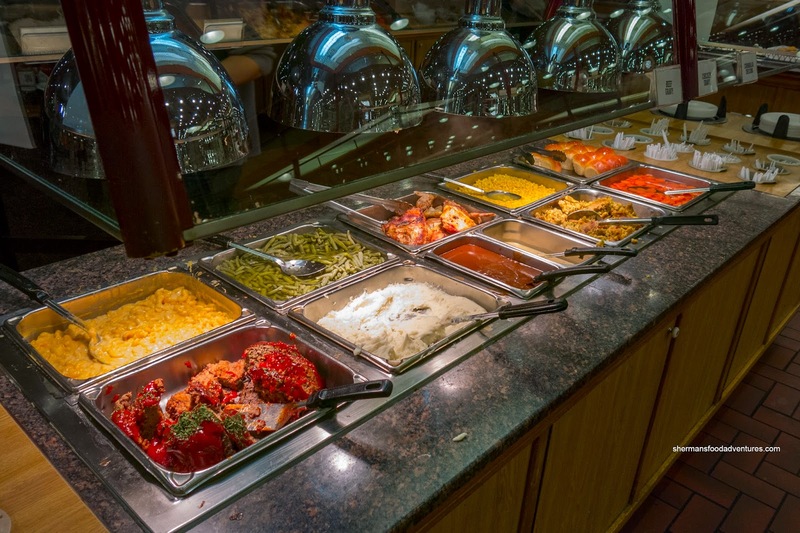 Depending what you choose from the buffet, it can be decent all the way to crap. But for the low price where kiddies can be kept happy, well, that is the main draw here (oh and the use of disposable plates was due to a dishwasher malfunction).